Mazda CX-3 Boot Space, Size, Seats | What Car? 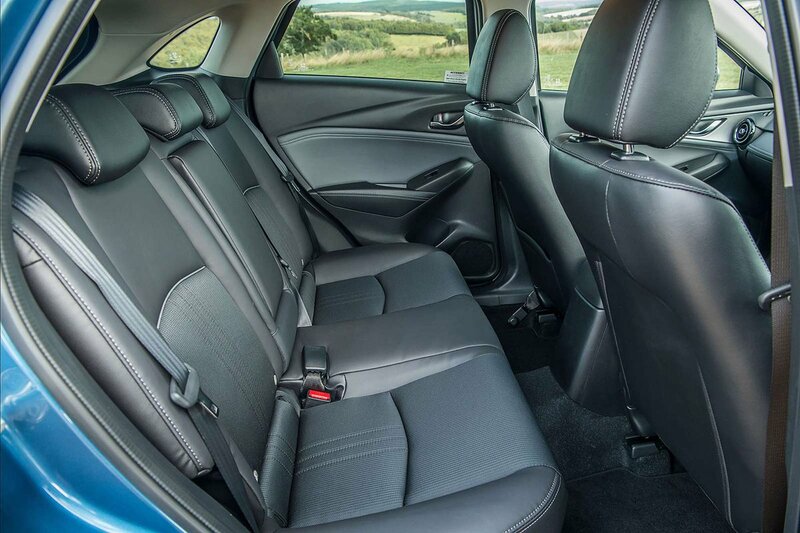 While the CX-3 isn't the biggest small SUV out there, tall drivers will be pleased to find that there’s a decent amount of room in the front seats, both for their head and legs. There’s are plenty of storage places for all your odds and sods, too, with door bins that can hold small drinks bottles, two cupholders, a good-sized glovebox and some other storage trays dotted about. Those sitting in the back get rather more of a raw deal than those in the front, though, and the CX-3 suffers when compared to its rivals. You can only really fit two adults in the back, and they will be quite cramped even then. There’s not much leg room, particularly if the front seats are slid back, and taller passengers will find their heads brushing the roof. 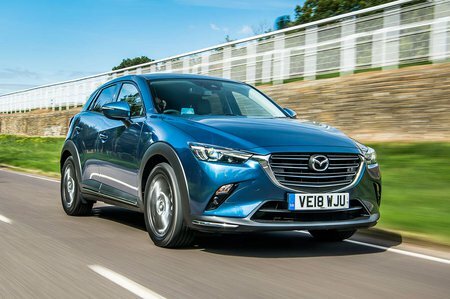 In fact, the CX-3 can’t even compete with a regular family hatchback for practicality and interior space, let alone SUV rivals such as the Arona. There’s not a great deal to celebrate here either. The CX-3’s rear seats split and fold in a conventional 60/40 fashion but don’t slide back and forth like they do in some of its rivals, including the Captur. 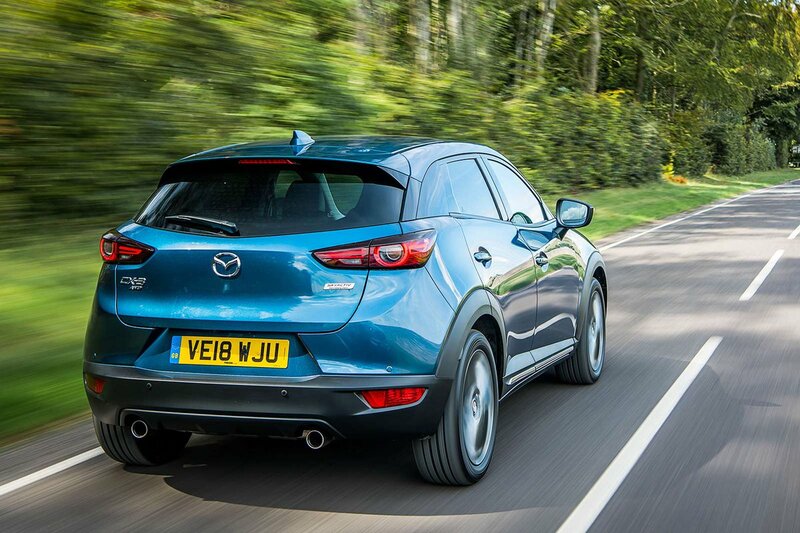 The latter would enable families to prioritise boot or rear leg room as needs be, and is sorely missed in the Mazda. The front passenger's seat of the CX-3 does get height adjustment, at least. The CX-3’s standard adjustable boot floor is quite a handy feature. In its upper setting, it creates a separate underfloor storage area that’s useful for stowing those delicate or valuable items. This position also reduces the lip you have to haul heavy items over, and removes the awkward step between the boot floor and the rear seats when they’re folded down. Drop the floor to its lower setting and you get a deeper space that’ll easily take three or four carry-on suitcases.However, the boot still isn't as big as those of rivals such as the Captur and Arona.